The Aereotwang Musical Preservation Project, a non-profit organization, would like to announce that our Kickstarter campaign to raise funds to complete our film, "John Hartford 'Oh, Yeah'" is in full swing! Have a look at the trailer, consider making a pledge, and pass it on to all your friends. The campaign is running now through November 15th. 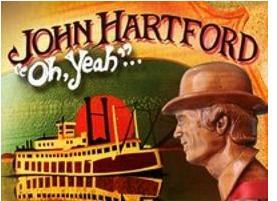 The project covers the life and the music of one of America's symbols - John Hartford. Fiddler, Banjo Player, Songwriter, Riverboat Captain, and more. John Hartford was a legend and a significant influence on America's Roots music of today.